Follow these steps to export user information list. Navigate to Site Settings >> People and Groups. Now your browser URL should be something like: "http://SHAREPOINT-SITE.com/_layouts/15/start.aspx#/_layouts/15/people.aspx?MembershipGroupId=22". Just replace the value for "MembershipGroupId" to "0" to get "All People" view which lists all users of the site (which is nothing but "User Information List"). From here, Get the GUIDs of your User Information List and view. Here is How to Get the GUID of SharePoint list or View. 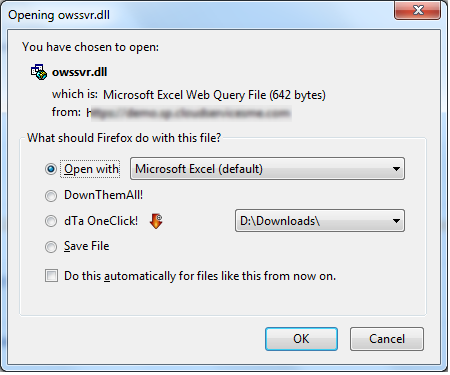 Navigate to the above URL, it should open the query, launch Microsoft Excel and Import all users from User Information List to Excel! Write-host "User Information List Exported to $($OutputFile) for site $($SiteURL)"
This exports all users and groups of the site collection to CSV file. Salaudeen ... you are the man! .searched for user information list export and you have already done...Thanks a ton for sharing!! when I run the command it only exports the first 500 how can I get the entire list? I surprise how much effort you set to make one of these great informative site. Hurrah! In the end I got a webpage from where I know how to really take valuable data concerning my sttudy and knowledge.